The innovative two-day conference comes to Edinburgh for its eighth year to spill the secrets of the technology sector. Tech industry legends are heading to Edinburgh this week as Turing Fest descends on the Scottish capital for a two-day extravaganza of insight and inspiration. Started in 2011 by Jamie Coleman, co-founder of Edinburgh’s own technology start-up incubator, CodeBase, Turing Fest is THE gathering for tech enthusiasts from around the world. Across the two days, nearly 50 industry giants will take to the stage to share secrets on what it takes to be the next big thing in the technology sector. The festival is made up of six mini-conferences all under one roof, covering: Product, Engineering, Strategy, Growth, Marketing and Culture. Simply put, no matter what area you’re working in, there is something there for you! Each of these conferences will offer a deep dive into how technology is used to build and grow businesses. As well as this, they also take a holistic look at the some of the different challenges facing tech businesses in 2018. In anticipation of this exciting event, we wanted to take some time to introduce you to some of the supremely talented speakers who will be speaking. 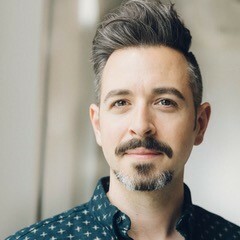 Trust us when we say there isn’t much that Rand Fishkin doesn’t know about the world of Search Engine Optimisation (SEO). He has been in the game from the very beginning, spending nearly two decades unravelling the mysteries of companies like Google for the millions of people trying to get their websites noticed. Simply put, when Rand speaks, it’s generally a good idea to take notes, because it’s probably gold! Rand is the founder and former CEO of Moz – an SEO software start-up. However, he recently left Moz behind to found another start-up company called SparkToro, who specialise in influencer intelligence. As well as this, he is the author of two books on the subject of SEO, and another on start-up culture. Rand will be talking in Edinburgh about the perils and pitfalls of marketing launches, as he tries to help make sure that you know how to shine like a diamond in the rough. By presenting both successes and failures, and diving into what separates the two, Rand will provide the knowledge you need to make sure your launch performs better. It’s fair to say that Spotify is one of the biggest music streaming companies in the world! Since the Swedish company launched nearly a decade ago, it has grown on a massive scale and now boasts more than 180 million individual users in 65 different countries. Whether it’s through home computers, laptops, mobile phones, tablets or games consoles, Spotify provides access to more than 35 million songs. 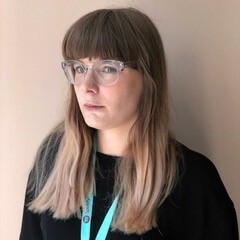 Originally from the UK, Product Manager Amy Zima is all about the consumer and works on the future of Spotify’s mobile apps from their Stockholm headquarters. From start-ups in their early stages right through to large, established tech companies, Amy has nearly a decade of experience in this area, which she uses to help bring music-lovers what they want. By drawing on her own experiences killing products at high-scale businesses, Amy will be looking at how to gracefully end a product’s life. She will also show how the journey doesn’t end with just building a new product and moving on to the next thing, and that constant re-evaluation is key to the success of any product. Borne out of one man’s frustration over trying to book a ski holiday, Skyscanner has gone on to become a bona fide Scottish success story! Since its launch in 2004, the travel search website has grown to become one of the biggest in the world. Today it is available in more than 30 different languages and is used by 60 million people per month. 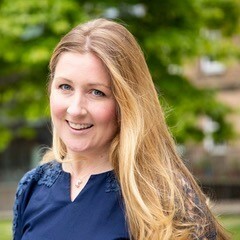 Rebecca Moore has been at Skyscanner since 2014 and is Director of Growth for the Europe, The Middle East and Africa (EMEA) region. Her experience has taken her to top jobs in some of the world’s largest companies, including Unilever and The Royal Bank of Scotland. Since starting at Skyscanner, she has led the programme to completely revamp the company into the growth model you see today. Rebecca will place her knowledge of growth front and centre during her appearance at Turing Fest, as she discusses the need for businesses to constantly re-organise and re-educate themselves. She will also share some of the secrets behind Skyscanner’s own success in this area – as well as a few of the things to avoid. Founded almost 100 years ago, the BBC is the oldest national broadcasting agency in the world. In the UK, they are synonymous with news and media, and are one of the biggest and most respected companies of their kind in the entire world. Since its inception, the company has become an integral part of British culture and is affectionately known as ‘The Beeb’. 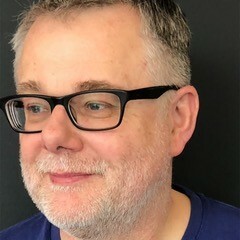 Colin Burns leads on the BBC’s User Experience and Design team, who are responsible for the company’s key online products and the delivery systems that underpin them. Simply put, Colin helps make sure that the BBC make the most of their creative resources. With more than 30 years of experience, Colin is also an honorary Professor of Design at Dundee University and The Glasgow School of Art. With such a long and distinguished career, Colin will be looking at how the world of user experience has developed over time. As well as this, he will also be taking the time to consider some of the potential routes that user experience experts can use moving forward.